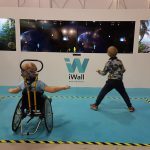 iWall – Your body is the only controller you need! iWall is a gaming platform that utilizes movement tracking technology in a way never seen before! 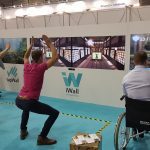 Because of its diverse game content, iWall can be used for efficient exercise, training, a simple workout or just for family fun! The exercises have been designed in cooperation with professional therapists and improve performance diversely.Making personal rehabilitation programs is easier, when the progress can be measured. tapWall – Activate your body and mind! 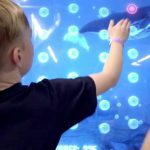 tapWall provides touchscreen games for the whole family. Improve your memory, sharpen your reaction time and increase your visual tracking with tapWall. Trixter is the most realistic indoor biking device in the market. Compete against other players in various environments and game modes worldwide. 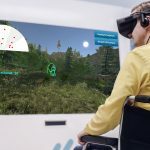 Athene Exergaming software connects exercising equipment with virtual reality and modern game technology.